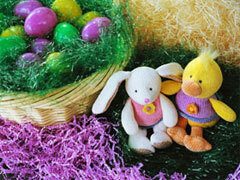 Stuffed animal Easter rabbit and duck sitting next to an Easter basket full of treats. Who will join them? There are enough Easter treats for everyone! This amazing screensaver captures lightning, smoke and lava above Iceland’s Eyjafjallajokul volcano.